We are half way through Gemalto's NFC Contactless Challenge. I do hope my blog posts here chronicling the challenges has been helpful to anyone sitting on the contactless fence, and if you have any questions hit me up either here or on twitter using the #GemaltoNFC hashtag. The previous four days has been a rollercoaster ride. There has been bright moments when I saw nothing but a bright contactless future, and there are dark times when I thought it was dead. Day five was no different. For once the day started not with an NFC related disaster but my own stupidity. For probably the second time in my entire life, I forgot my wallet. Not only did I not have my debit card, I also did not have my Oystercard and cash! I did have some loose change in my pocket, but these weren't enough to last a whole day. I have gone through an entire day purely on contactless on Tuesday, but this was the first day I would not have a backup. I have to rely purely on the Samsung Galaxy S III phone Gemalto has loaned me, and the few loose change I had in my pocket. I felt exposed, almost naked even. 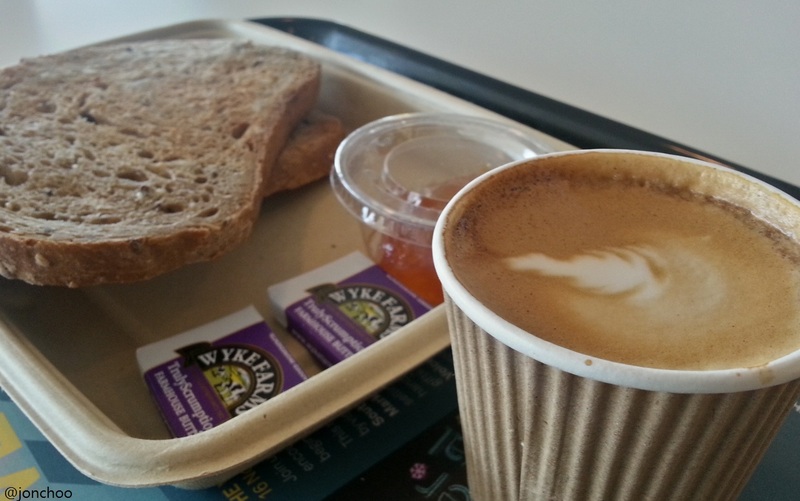 Fortunately my destination of the morning, the glorious Southbank Centre came to my rescue. Here, the Riverside Terrace Cafe at the Royal Festival Hall accepts contactless, and this was where I had my breakfast (the coffee is pretty decent here). 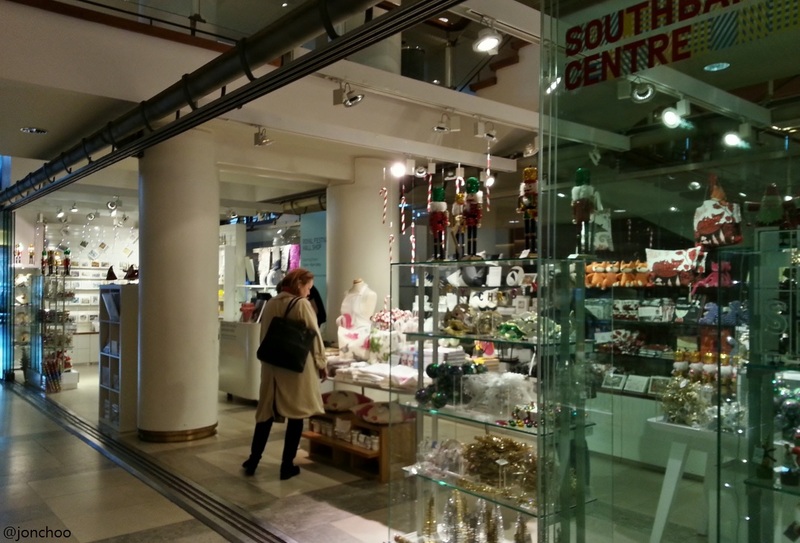 A quick glance around the various other parts of the Royal Festival Hall revealed that the Central Bar and Southbank Centre Shop also accepts contactless. My first NFC fail of the day occured at Benito's Hat in Covent Garden for the 'eat a burrito/wrap' challenge (thanks Matt!). I am not a fan of burrito, but I was open minded enough to give it a go again. Entering the restaurant, I asked the staff whether they accepted contactless payment. I even displayed the phone with Orange Quick Tap/Barclaycards app opened and mentioned about my lack of wallet. She insisted that they do and, to confirm, she called over the cashier manning the till, who nodded in agreement. Heading over to the till, I noticed that the machine was rather old. Sensing something was wrong, I stupidly tapped the machine. The cashier looked at me like I was mad. It became apparent that the staff at the till was confused by what contactless actually meant and assumed that contactless = magnetic strip! The previous staff who I talked to earlier apologised. At this point, my burrito was already made and feeling that it would be rude to just leave, I dug through my pockets and man bag and successfully fished out £10 in 50p and 20p coins. Now completely penniless for the day, I could not afford to let a mistake like this happen again! 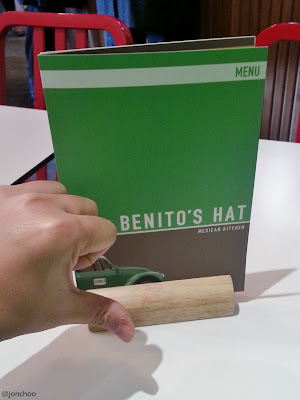 Benito's Hat failure to embrace contactless is a wrong move. The prices are well below the £20 limit and the fast food restaurant is extremely popular during lunch time with city workers. With only a single till (they operate in much a same was as Subway), at any single time you have a group of people just waiting to insert their chip and pin card and complete the payment process. 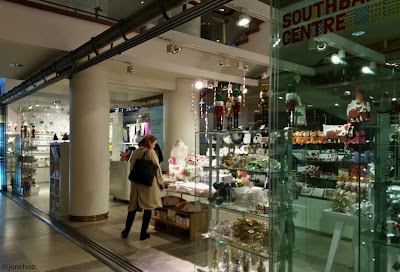 If you must know, I did complete the challenge in the end at the EAT on Southbank Centre. The Mexican wrap isn't quite as fulfilling as the one at Benito's Hat, but the payment was effortless. I have been to three separate EAT this week to find them all quipped with contactless payment, so kudos to them for getting it right. I am however going to make an effort not to fall back on them again. Also successfully completed is the 'take the boat' challenge. I have already attempted to tackle this on Tuesday, but was foiled by TfL's lack of ticket sellers. 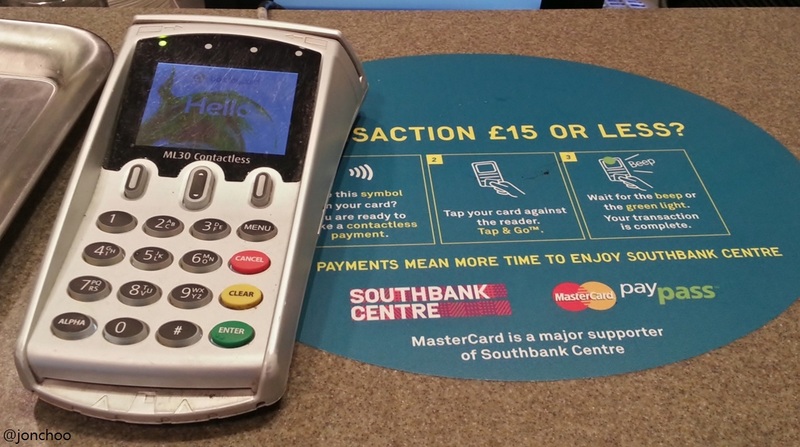 The experience on the Thames Clipper convinced me that contactless bank payment, while awesome in general, is not an ideal replacement for proprietary bespoke solutions like the Oyster card, which is used on London's extensive public transport network. I have written about the challenge and my views on this on a separate blog post. Another fail came courtesy of one of my favourite antipodean style coffee shop chain, Sacred Cafe at the Stanfords travel bookstore. Here they actually do have a contactless terminal (complete with 'contactless' scribbled on the top), but I was told the contactless payment bit doesn't actually work. Bum. That said, their coffee is fabulous, so don't let that put you off. There are still two reader challenges that has so far alluded both Ewan and I. The 'get a haircut' and 'watch a film at a cinema' challenges has been ridiculously impossible to complete. I walked past two barbers today without any success. Worse are the cinemas. I visited at various intervals the BFI IMAX and BFI Southbank in the afternoon and then Empire Leicester Square, VUE Leicester Square, Odeon Leicester Square, Odeon West End and uber-cool Prince Charles Cinema (they do sing-a-longs evenings!) in the evening. It's fair to say that it is probably unlikely there is a cinema in London (we don't even have a cinema in St Albans) that accepts contactless payment, what with a typical ticket for two normally costing north of £25. My mistake today in forgetting my wallet highlights the pitfalls of going fully contactless or cashless. On a normal day I would have my debit card with me and I could easily pay via chip and pin, or head to the nearest cash machine to withdraw some cash. 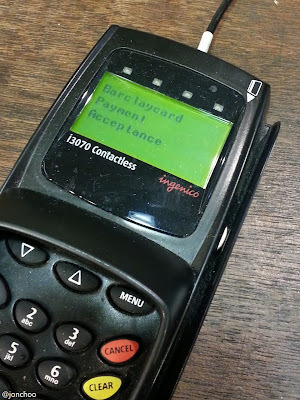 It does not matter if Orange or Google describes their Quick Tap and Google Wallet app a mobile wallet, contactless will not replace your physical wallet, at least not in the very near future. Even if contactless payment proliferate, there will always be many independent merchants who are cash only.